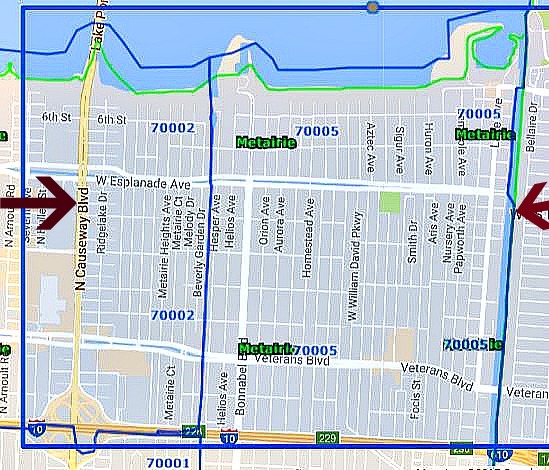 This is a large area of Metairie. The homes get larger and more expensive near Causeway. The homes tend to go up in price as you get closer to the Lake Pontchartrain. There are no easily definable subdivisions in the area. It is easier to value the streets. You have a large variety of homes to choose between. 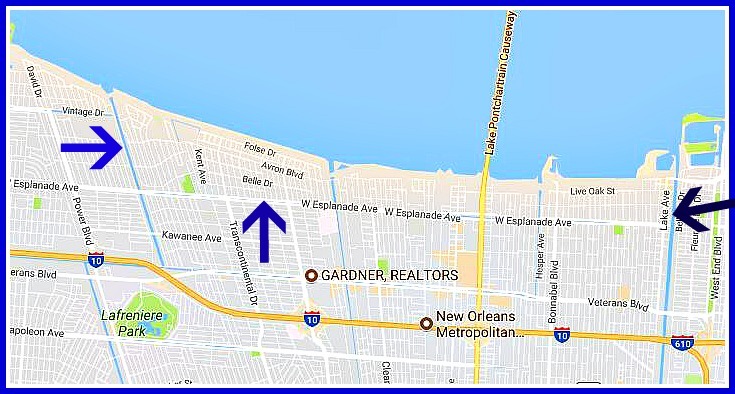 The Zip Codes are 70005, 70002,70006, and 70003 as you move from Orleans Parish Line.